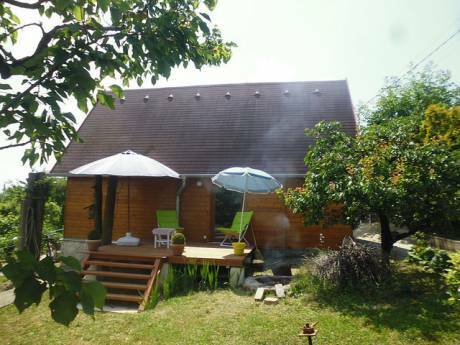 A three bedroom,all with en suite bathroom, house with lovely and extensive views of Lake Balaton.The house is up on old grape slopes and backs on to an extensive forest with walks.The area is very peaceful. The house was our holiday home for several years but we have now decided to live here as our main home and have been busy changing it to fully suit. The house is on two levels and has undergone extensive re-modelling and updating in the past twelve months to bring it to a very high level of functionality and finish. The ground floor has a large master bedroom with a king size bed and a full complement of wardrobes and other furniture.It is freshly decorated with wooden flooring,blinds,ceiling light and fan (fitted throughout the house) and good central heating. The en suite bathroom has a large bath/shower and is fully tiled. There is also a fully fitted kitchen with cooker, fridge-freezer, washing machine,drier and microwave.Adjacent to that is a study with internet/TV. All ground floors other than the bedroom are newly tiled and all are under floor heated. We find this area very easy to keep warm in the winter. The study joins onto an outside area which is currently being re-terraced and fitted with a dipping pool. This work is due to complete by early September 2012 along with general landscaping of the front and back gardens. The second floor has also undergone a complete recent refurbishment and refinishing. This floor has two double bedrooms/en suite bathrooms. One has a queen size bed and the other,a standard double bed. There is a large sitting room and dining room with 42" flat screen television which receives a complete range of English TV stations as does the TV on the ground floor.The whole area is furnished with high quality wooden and soft furnishings.A large picture fire is set into the wall in the lounge and this makes the area very cosy in the winter. The kitchen on this floor is fitted with dishwasher, gas cooker microwave, large wine cooler and small ice machine. 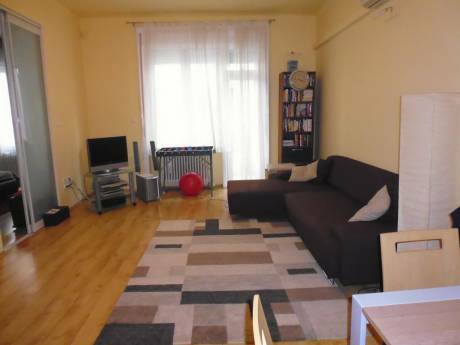 All floor surfaces are tastefully tiled and all rooms fully centrally heated. Leading off from the dining area is a large external deck which is currently being renewed along with the ground floor terracing and is scheduled for September. Each floor is self contained with its own front door. All internal rooms of the house are recently complete and in new condition. We are Frank and Pauline both in our early sixties.Frank is a retired business man and we have lived and worked for long periods in The Netherlands and the USA. We also have a house in Shropshire(UK) which has been on this exchange site for several years and very succesfully exchanged. We have 5 grown children who live in the Netherlands,USA, Thailand and the UK. For us, Hungary is a good base to visit them all from - by car or plane and it also provides us with a great central point for globe trotting!! Our current short term focus is to get together with the children for the Xmas period in the UK this year. We are however very keen for further opportunities to exchange for just the two of us (particularly California,Thailand, Netherlands and South of England) in 2013. Lake Balaton is Europes largest inland Lake and is 85 kilometers long and up to 5km across with various towns around. It is an area famous for it's beautiful weather and holidaying on the Lake. Vonyarcvashegy is situated on the North side of the lake and at it's western end. 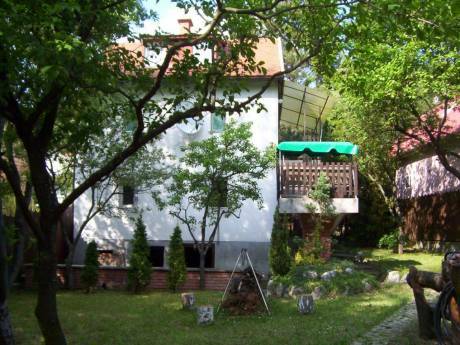 The lovely town of Heviz is ten minutes by car and a similar distance to the shopping town of Keszthely. Heviz has the largest thermal lake in Europe with its water temperature never going below 28 degrees centigrade so people come to swim and recuperate there all year round. The area has many nice restaurants and coffee shops. There are a good range of Supermarkets and other types of shop in the area. There is a new golf course 5 minutes east by car which is right on the lake. We are also ideally situated to visit Vienna (2 hrs. ), Graz (90 mins), Croatia (Northern Adriatic) 3 hours and of course Budapest (2hrs.) Prague is about 6 hours so it is good for an overnight stay. During the winter months the lake can be frozen and ice skating on the lake is common.